For hire, Sound Meter. Ideal when you are have to monitor sound levels, whether it's in warehouse and manufacturing units, offices, pubs, clubs and schools. Simple to use with additional high/low levels and recording ability. 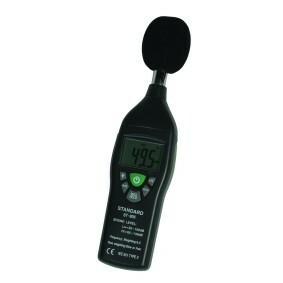 The hire fleet sound meters have full digital displays for the accurate recording of sound levels and also the ability to save back sound results.